On our recent trip to Annecy for the Bazaar of Moxen 2011 Jordi and I had the pleasure of meeting two of the best alterers in the business, Sandreline and Demonium. 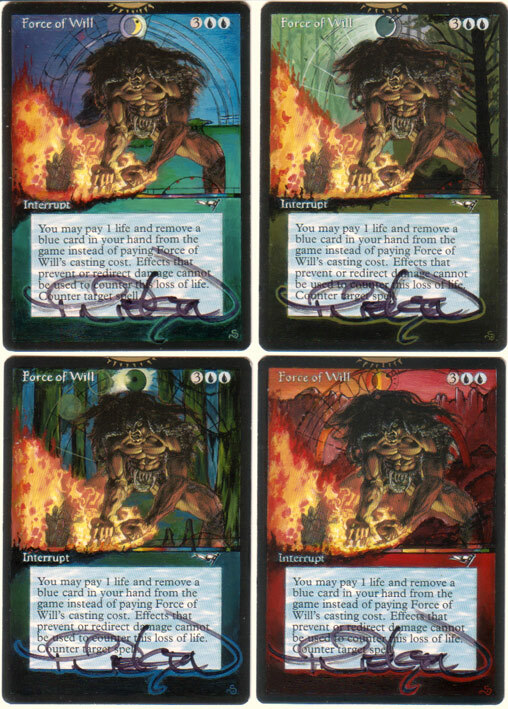 In today’s episode of BIG PIMPIN we’re happy to share with you a very cool playset of Force of Will alterations done by the great Sandreline! Originally commissioned by a player in Canada who is sadly getting out of the game, I recently had the fortune of acquiring these beauties to go alongside some of my other sweet alterations. Enjoy!